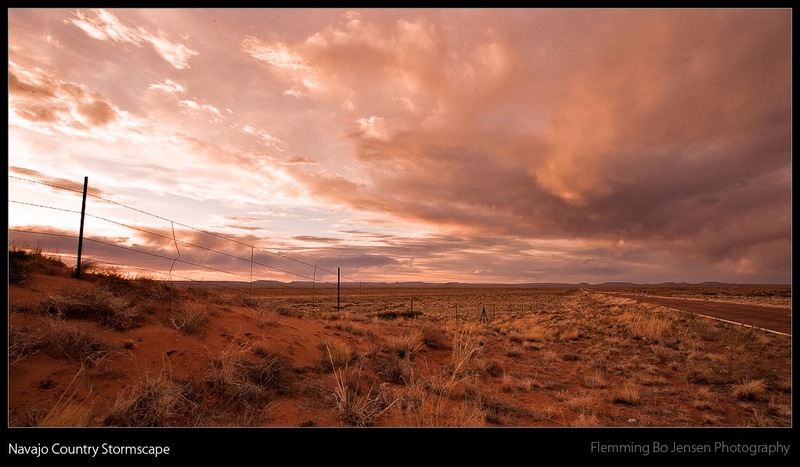 Land of Enchantment is the state of New Mexico’s ‘slogan’ and I am inclined to agree. New Mexico really is home to some enchanting landscapes. I have already blogged about White Sands National Monument and for the past week I have been driving around New Mexico through spectacular wide open spaces, visiting small villages (and a UFO museum at Roswell! ), seeing the town of Lincoln (Billy the Kid) and capturing gigabytes of photos. Some of the cities like Alamogordo and Socorro can be very boring, just main strips with motels and fast food chains, but get out into the landscapes and this state is magnificient. It is hard to do justice to these beautiful endless spaces in a photo. I am saving most of my US work for my new upcoming website (this July/August) but I have quickly developed a few from New Mexico attempting to show the New Mexico spaces. Now this is probably mostly personal work, I guess for most people this sort of work is too much "nothingness" but for me I love the wide open spaces and shooting into the horizon. Notice also that somehow I am starting to find that man-made objects can add interest and contrast to landscapes. The road, the barbed wire fence and so on. 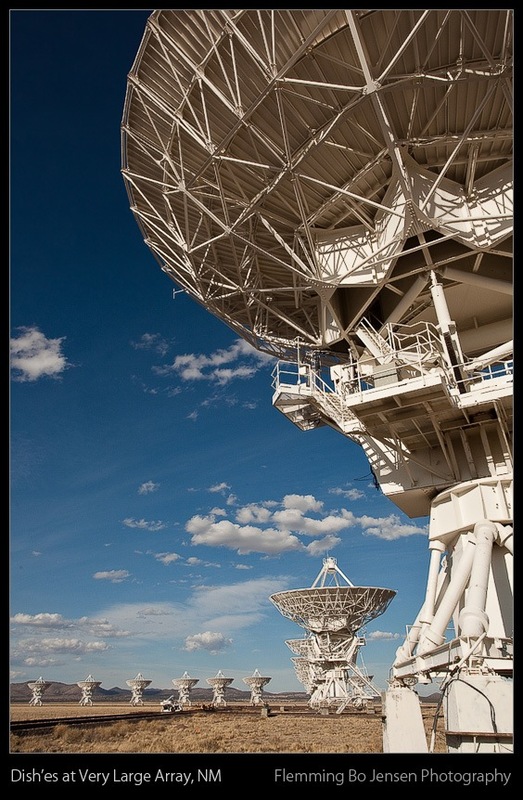 On the plains of San Agustin in New Mexico is where you find the Very Large Array and this will be the subject of my next post, I was very captivated by this place and spent many days and nights there. 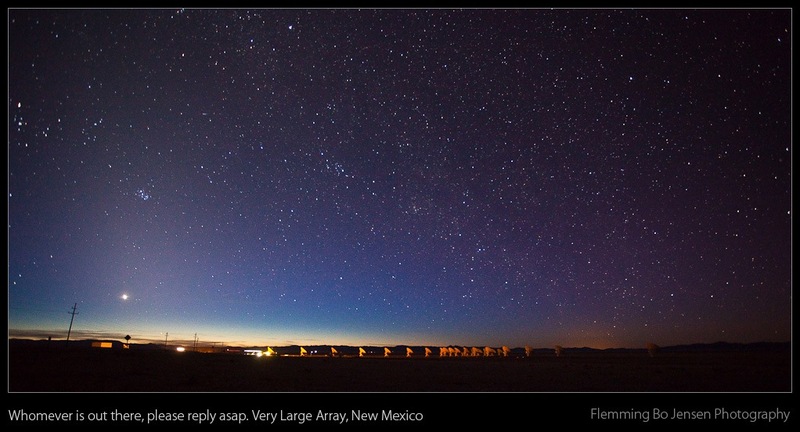 New Mexico is home to some rather beautiful wide open spaces. As you drive through this state the horizon is larger than normal, the sky is taller and the clouds are grander. 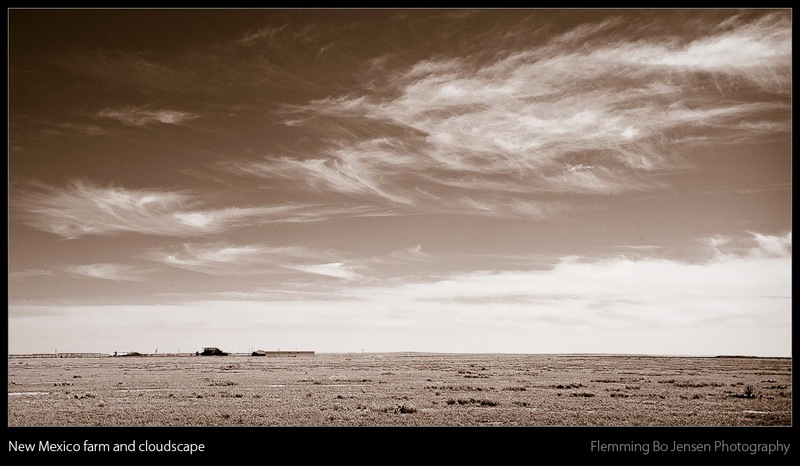 Somewhat like Namibia, although Namibia is the king of all wide open spaces on this planet. 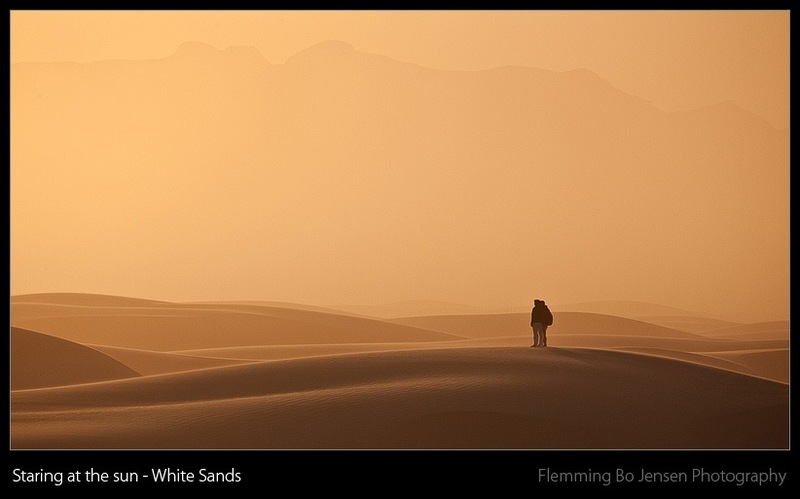 And the king of sand dunes, the 10-15 meter tall dunes of White Sands in New Mexico are tiny baby dunes compared to the 3-400 meter tall dunes of Namibia. At sunset the light was like nothing I have seen in images from White Sands. All the sand in the air reflected the golden setting sun and it was quite a special moment. For sand dunes a good zoom is essential and will get used more than a wide angle, you want to zoom in and capture lines and patterns and this is shot with my 100-400mm Canon L Lens which I am finding works quite good. 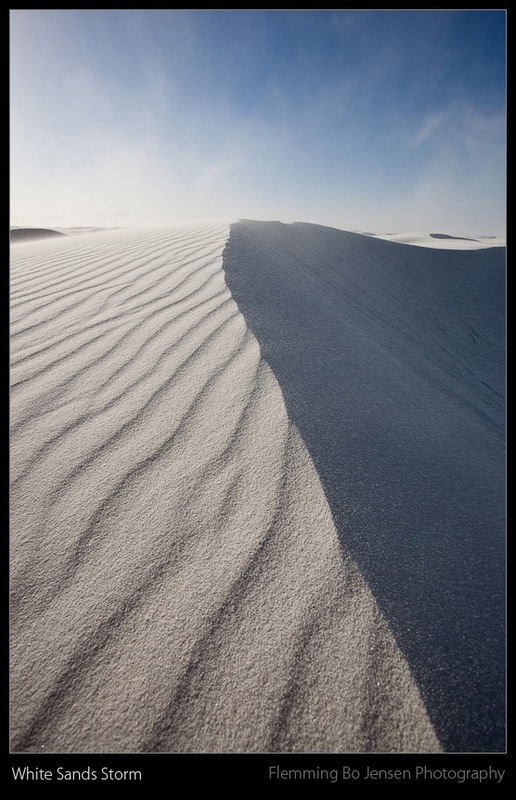 The last two days at White Sands were the exact opposite. No wind at all at White Sands, completely calm. The place and the colours are completely different on days like. Made it a lot more pleasant to hike, explore and relax in the sand but for photography the dramatic wind beats the calm. 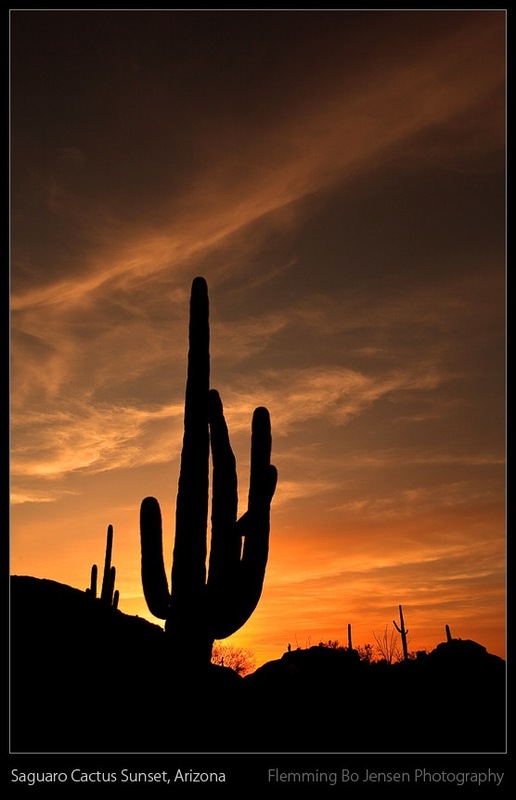 The Southern part of Arizona is home to the Sonoran desert and the famous Saguaro cactus. These huge grandfathers of the desert are quite impressive, some of them standing more than 10 meters tall age more than 100 years. For me these are a symbol of the southwest USA, something burned into my memory as a child watching countless Western movies. In Arizona the Saguaros are protected by state law, it is actually illegal to harm them in any way. The real trick for me as with the Joshua Trees is finding a few that I can isolate in a composition with a nice background. Nature is messy. Takes a lot of walking, fortunately I enjoy hiking. Just be very careful not to walk into these things, them needles are sharp! I walked into a low one as I was looking at clouds. Aw! And it is a cliché shot to shoot them silhouetted against the sunset, but it looks good! Here’s one from a sunset in the Saguaro National Park in Tucson, Arizona. This impressive cactus is at least 8 meters tall. There is not much to shooting an image like this. Took hours to find the composition though. Then I sat down with a book and enjoyed the tranquility waiting for Mother Nature to turn on the light show. That she did! Your only worry is blowing out the red channel, be careful and underexpose about 2 stops. And don’t walk into these things! I am presently in New Mexico, state of the Wide Open Spaces and on my way to White Sands desert. More to come.